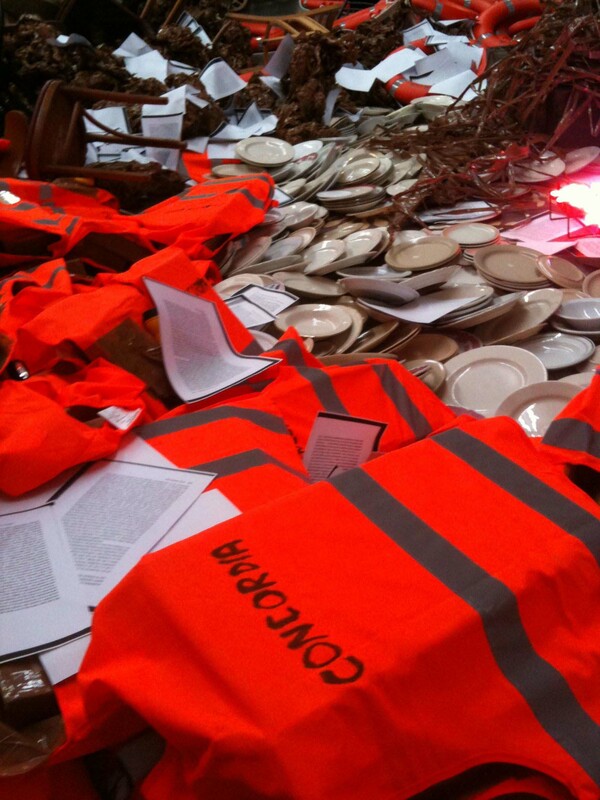 This may look like a Judy Pfaff installation, but it’s a close-up of the engaging, room-size environmental work by social commentator Thomas Hirschhorn on view until October 20 at Gladstone Gallery in Chelsea. Concordia, Concordia is a riff on the tumultuous, larger-than-life grounding tumble of the Italian cruise ship, Costa Concordia in January 2012. Gladstone has other close-ups on its website, but its worth a walk over to 530 West 21st to get the full experience for yourself. Hirschhorn was inspired by the furniture-akimbo nature of the interior photos of the luxury liner and the refusal of the ship’s captain to tend to the self-inflicted disaster. 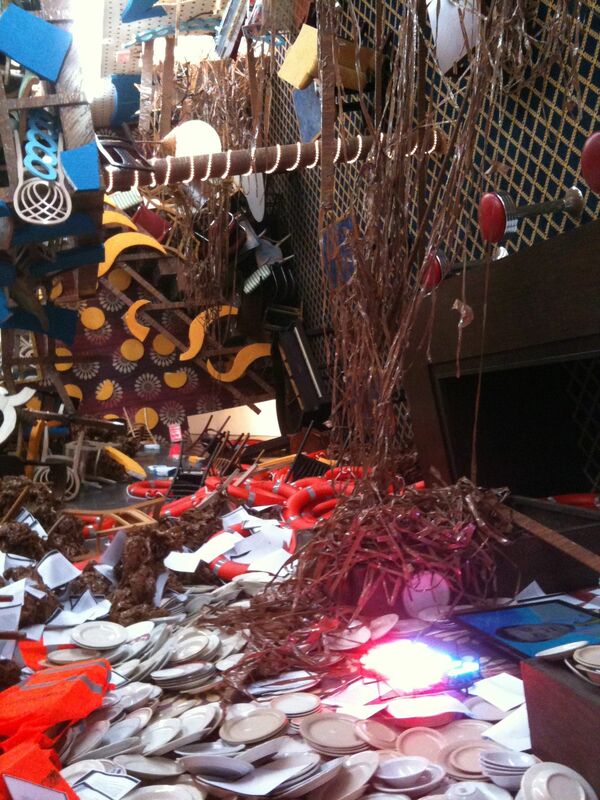 There’s a lot to look at – including Hirschhorn’s cheeky inclusion of The Raft of the Medusa. Look hard. You’ll find it. There’s no safe place. This entry was posted in Art and tagged art, culture, events by mssusanb. Bookmark the permalink.